Many of you have played retro games at one time or the other in your life. These are also known as classic or old school games. Retro games have existed since the early years of the video game industry, but was popularized with the popularity of the internet and emulation technology. At few online casinos you can find retro games under the category of arcade games. Usually retrogaming is based upon systems that are obsolete or discontinued. Retro games have three main activities; vintage retrogaming, retrogaming emulation, and ported retrogaming. Vintage retrogaming includes games that are played on the original hardware. Emulation involves newer systems simulating old gaming systems, while ported retrogaming allows games to be played on modern hardware via ports or compilations. Additionally, the term could apply to a newer game, but with features similar to those of older games, such as an “retro RPG” which features turn-based combat and an isometric camera perspective. Many players are drawn to retrogames as they are nostalgic for different eras, also that older games are more innovative and original, and the simplicity of the games that requires less hours of gameplay. If you are looking for some retrogaming on your iPhone then you need to install the Game Boy Advance Emulator, the program that prompts your comp to emulate a certain console hardware and run games on an emulating platform. There are lots of websites offering nice emulators for iOS. Just make sure to find a reliable one not to get some malware installed on your device. When you have got the perfect emulator to use visit the “Settings” section, then go to “General” and select the “Date and Time” option on your iPhone. Your task will be to change the date to anytime in 2012. Then, proceed to the next step. As you might have known, even having the emulator at your disposal you cannot start playing (Game Boy Advance Emulator) GBA games on your iOS device. You also need ROMs, images of the GBA games to run with the help of the emulator. Once again, you will need to find a trustworthy site to download ROMs. If you are eager to play Pokemon Emerald, all you need to do is to search for a Pokemon Emerald ROM file and download it. Also remember that it is mandatory that you own the game whose ROMs you are planning on downloading. Otherwise, your actions will be deemed illegal. Now be prepared for the fact that some games, especially those unpopular with the wide audience, won’t work on your emulator. The point is that some emulators are compatible with a limited quantity of games and your game may happen to be exempt from the list of compatible games. But you can always look for another ROM file for your preferred game and try running it on your emulator. As for such cult GBA games as Final Fantasy VI Advance, Super Mario Advance 2, The Legend of Zelda: A link to the Past, Donkey Kong Country and many others, there should be no troubles emulating them. 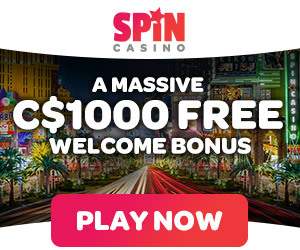 If you wanna know which mobile friendly Canadian casinos offer retro type games then stay tuned here.